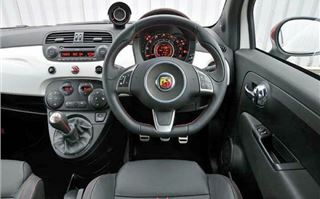 The standard model Abarth 500 looks very similar but could not feel much more different from my own FIAT 500 1.2 Lounge. Driving down to Poole in Monday’s monsoonal rain felt like I was going to test a bath. Yet by Tuesday the storms had blown over, leaving clear blue skies and only part of our test route under water. Happily they had cleared the snow from Gurston Hillclimb, so we could drive the cars and be driven in a manner that would be illegal on the open road. 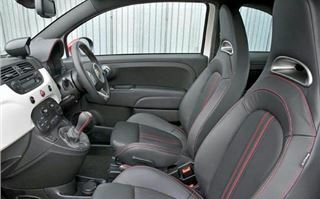 My FIAT 500 1.2 Lounge is all show and no go, with, frankly, fairly poor steering and ride quality. I forgive it because I love the car and get an astonishing 51 miles to the gallon. But I can’t pretend it’s anything like as good to drive as, for example, a Mazda 2 1.3TS2 or a Suzuki Swift 1.5GLS, or any MINI. 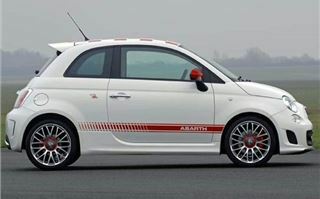 The Abarth 500 has 135bhp compared to my 1.2’s 69. 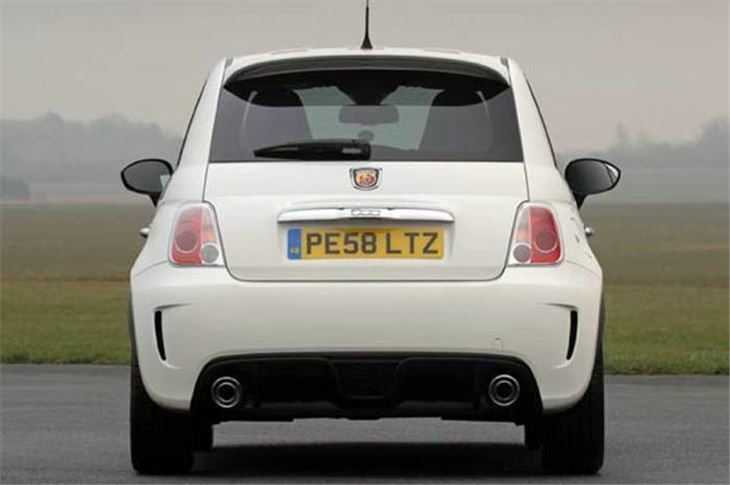 And, frankly, that would be terrifying in the basic Panda chassis my 500 is lumbered with. Happily, Abarth has taken a few leaves from Ford’s book and adopted the torsion bar of the Ka to stop the back axle twisting. And also adopted the Ka’s softer rear springs giving the Abarth better ride quality than a standard 500, on the Abarth’s standard 16” wheels with 195/45 tyres anyway. 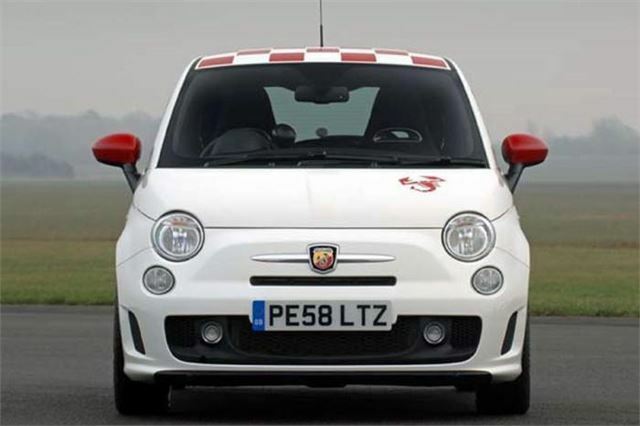 Even more inspired, Abarth then completely re-wrote the rest of the book, and endowed the 500 with steering that, once on the move, feels directly connected to the soft, sqidgy rubber of its Pirelli P-Zero Nero tyres. So you get front end grip, and rear end grip, and something called TCS, which is a sort of electronic limited slip diff, like the Cooper S JCW’s, but which seems to work better. And there’s ‘Sport’ button that sharpens everything up from steering to throttle response. The result is a hoot to drive that spreads your grin from ear to ear. It’s huge fun, in the way the original BMW MINI Cooper was and the current BMW MINI Cooper isn’t. And it’s also a complete package, with everything properly thought through. The huge rear silencer box might not last very long before it rots through, but it spits out a wonderful noise. The engine is wonderfully responsive in all gears and you only hit a power vacuum if you don’t keep the revs up on hairpin bends. It’s geared quite long at about 25mph per 1,000rpm in 5th, so it’s reasonably relaxed and economical on the motorway. As with VW’s 1.4 TSI, the turbo is water-cooled, so is unlikely to get so hot you have to idle the engine before switching off. A side benefit of this is that with engine and heater fluid passing through the exhaust driven turbo, the engine and the car’s cabin heat up faster in winter. You do get a superfluous turbo boost gauge in a pod on top of the dash, with a ‘change up’ arrow in the middle in case you’re deaf. But you don’t lose the 500’s excellent Blue & Me Bluetooth phone system and trip and functions computer. And, like the FIAT 500, you can get four people inside comfortably. I know because I took a back seat behind the driver on a demo run up Gurston Hillclimb. 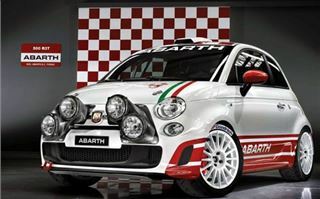 Part of the intention of that was to separate the men from the boys, the ‘men’ being the Esseesse version of the Abarth 500. 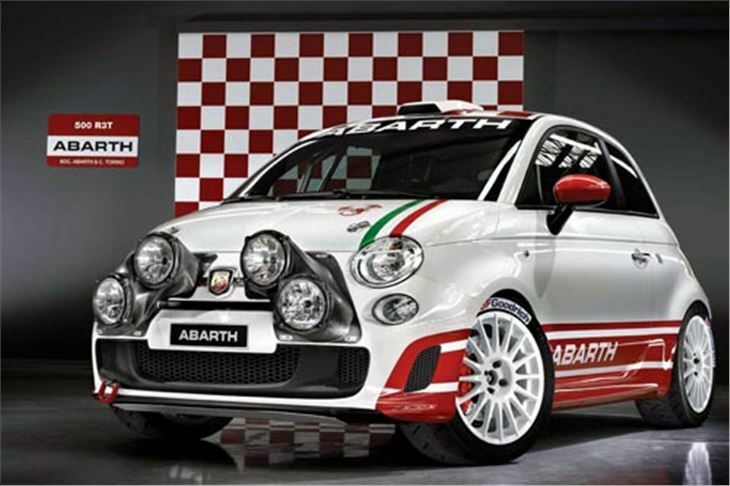 As with the Grande Punto Abarth, this arrives at your Abarth dealer in a wooden crate you can later take home and use as a coffee table if you’re a real showoff. The contents include 17” wheels with 205/40 P Zero Nero tyres, shorter springs, bigger brake discs, an ECU upgrade to 160bhp and 230Nm torque, and a tyre pressure monitoring system. 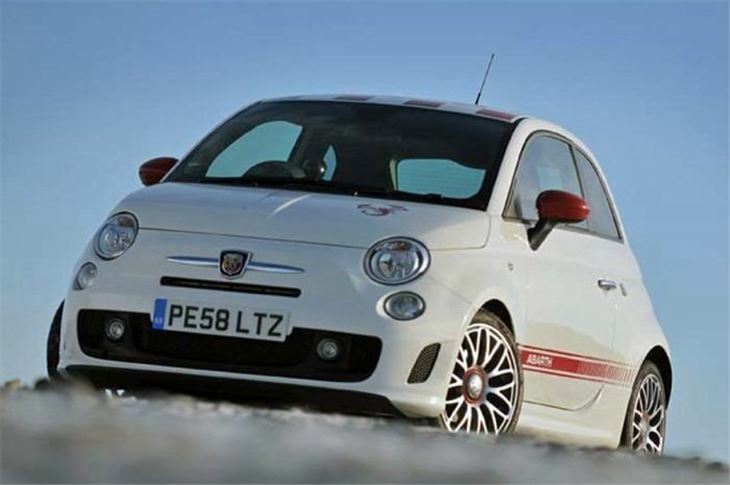 It costs an extra £2,500 and you can order your Abarth 500 with it, or have it fitted at any time before the car’s first birthday or before it hits 12,500 miles. Obviously the Esseesse is quicker and punchier. But you lose the ride comfort of the standard car and also its tactile, squidgy steering. To me it felt more like a MINI Cooper S, so I, for one, wouldn’t spend the extra money to spoil a car I really liked. And don’t be tempted by the cheap £175 standard car upgrade to 17” wheels with 205/40 tyres. They ruin the ride. If you want to go racing or take the car on track days, though, you can opt for an Esseesse with the wick turned up to 190bhp, called the Assetto Corse. And I reckon, in the right hands, that would give a MINI Cooper S JCW a really hard time. 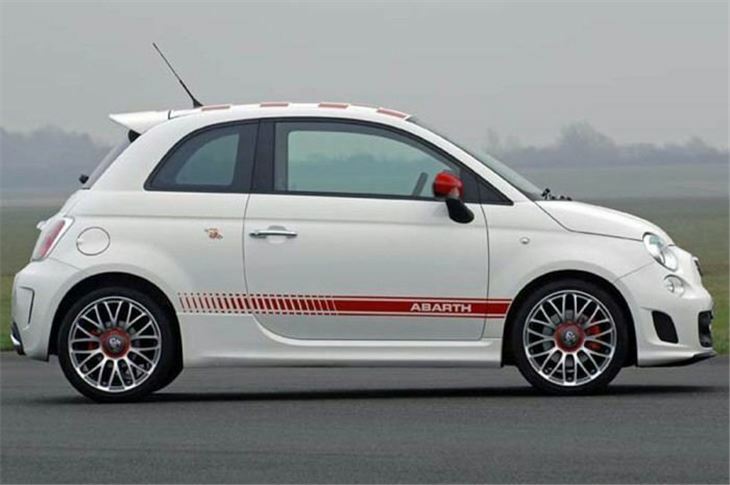 You can have an Abarth 500 in any colour you want as long as it’s Bossa Nova White, Scorpion Black, Crossover Black metallic, Pasodoble Red, Funk (pearl) white, and a new one: solid Campovolo Grey, as on the car in the video. That costs an extra £250 over standard Bossa Nova White. 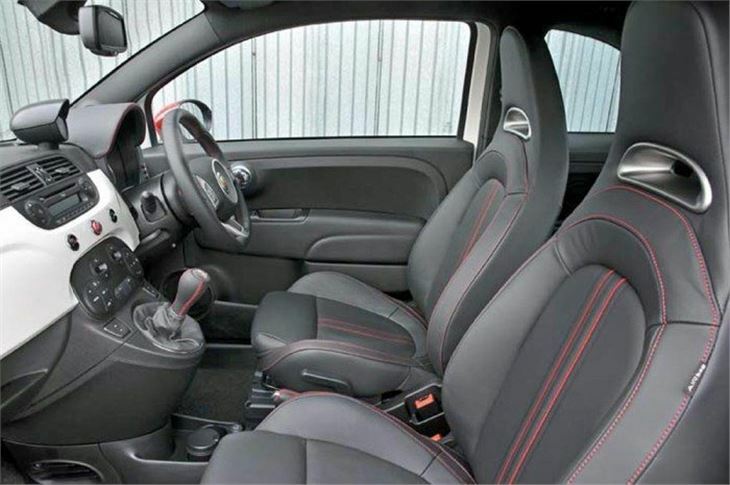 Crossover Black Metallic is an extra £375. 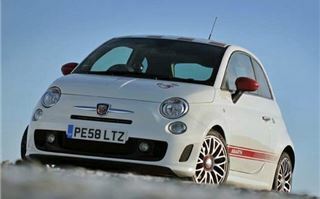 And, as with the FIAT 500, Funk (pearl) white is an extra £700. For the time being, at least, I’m going to stick to my 500 1.2 Lounge despite its deficiencies. 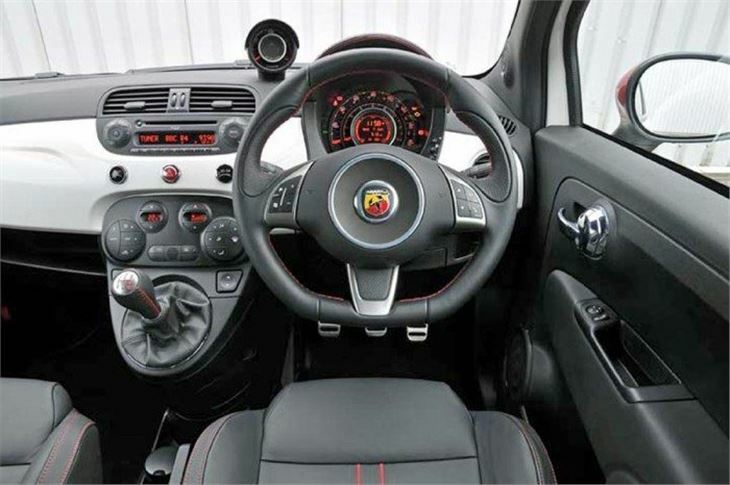 But if I wanted a fun four seater, I reckon the 500 Abarth is a very good way to spend £13,600. Give a big hand to the Italians. They’ve taken a cute little car that you love despite its faults. And made huge fun to be with.